The House Ways and Means Committee will markup a permanent extension of bonus depreciation on Thursday. Permanently extending bonus depreciation would spur investment, lift wages, grow the economy, and increase federal revenue. Growth: Bonus depreciation would grow the economy by 1 percent: This would add $182 billion to the economy. 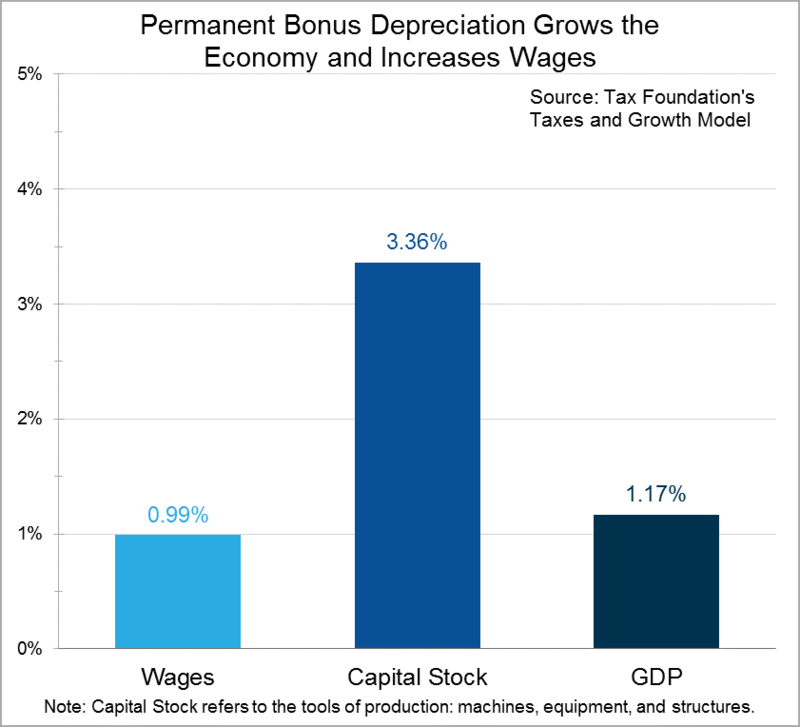 Investment and Wages: Bonus depreciation would increase investment and wages: Permanently extending bonus depreciation would increase the capital stock by over 3 percent and increase wages by about 1 percent by lowering the current cost of investment. Jobs: Bonus depreciation would create 212,000 jobs. Revenue: Static revenue estimates are misleading. Bonus depreciation would increase federal revenue by about $23 billion a year in the long run, due to increased economic activity. Has Bonus Expensing Helped Investment? What is Investment and How Do We Get More of It?